It's a season of celebrating! Spring is here, hockey finished well, and the boys were turning a year older. Isn't it amazing how certain scents and seasons make you remember specific events in your life? With having both boys at the end of March, every year when this week comes, I feel like my body should be going into labor and find myself at the hospital delivering a baby. World Down Syndrome Day is always on March 21st. A day to celebrate people that are uniquely created with a 3rd copy of the 21st chromosome and spread awareness that each life is to be celebrated and is a gift. I remember reading a blog saying that a reader of hers was sick of how families sugar-coated Down syndrome, making people with Down syndrome look like they should be a family pet that every family should have one. The reader explained she knew individuals with Ds that were not pleasant, happy, joyful, and capable. I reflected on the comment and couldn't help but think of Shauna Niequist's book, Cold Tangerines , where she talks about the pessimism and grimness that seems to be the world's current version of mad and how there needs to be an appeal for celebration. "There are a lot of good books about what's wrong, what's broken, what needs fixing and dismantling and deconstructing. To choose to celebrate in the world we live in right now might seem irresponsible. It might seem frivolous, like cotton candy and charm bracelets. But I believe it is a serious undertaking, and one that has the potential to return us to our best selves, to deliver us back to the men and women God created us to be, people who choose to see the best, believe the best, yearn for the best. Through that longing to be our best selves, we are changed and inspired and ennobled, able to se the handwriting of a holy God where another person just sees the same old tired streets and sidewalks." There is plenty of stuff out there that can tell you about the challenges that come with Down syndrome. Stories, hardships, medical concerns, etc. Yes, there are hard moments, and no it's not easy. But that's not about Down syndrome, that's called parenting, that's called life. Forgive us for our positivity. We intentionally decide to choose joy in our circumstances. 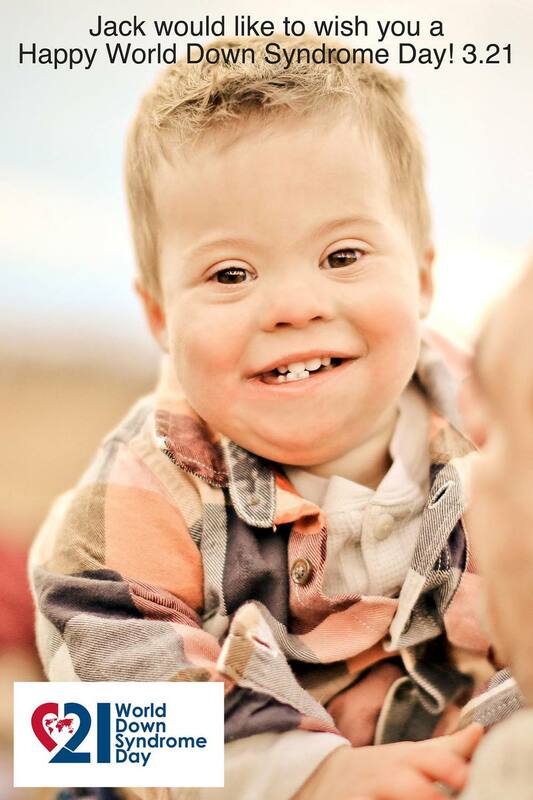 We choose to see the blessings in the little things, in our lives, our children, Down syndrome, and how this extra special chromosome has made our lives better. To celebrate Jack's 2nd birthday we went to visit the staff at the hospital. It had been one year since we delivered the first two baskets! You can read about that here. Here are a few of the nurses that were very influential in our stay in the hospital after Jack's birth. We wanted to celebrate his birthday by letting them know we appreciated their impact and role in the start of our journey with Jack. As I mentioned above, both boys were born in March. Their birthdays are a day apart so we always do a joined birthday party celebrating the joy they both bring to us, our families, and friends. Here are a few pictures from the party! Sound the alarm...and rush this way...it's Firemen Luke and Jack's birthday! Our crew at the fire station! Look at that handsome fireman! Birthday boys having a blast! 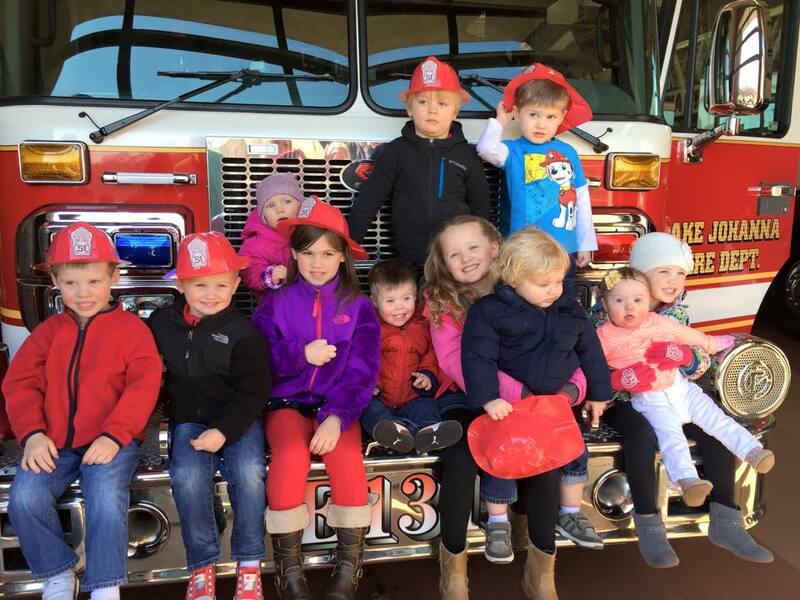 "Our uncle Jon is a real fireman and we think he's a hero! I can't believe that Luke is 4 and Jack is 2!! I didn't really realize until I became a mom that birthdays can be very hard and emotional as you reflect that the years are going so fast. My babies are no longer babies. Yes, some days are long, but the years have gone so fast. Please slow down. There have been many times I have wanted to sit down and blog about so many things...reflecting on the past two years when we started this new journey...but I have to realize that I am trying to focus on celebrating these minutes and moments with my boys and when the time is right, I'll get a chance to write it all out. I will tell you that Jack's life has fit Shauna's appeal for celebrating. Celebrating should be his middle name...it's one of his favorite things to do! He claps the most for his own accomplishments and we just laugh at how he will continue to clap until we join him...celebrating each little thing. Isn't that what life should be about? Celebrating the little things, celebrating progress, celebrating the good, simply celebrating life. Jack entertained the guests with his excitement of standing! Last week was a big week...birthdays and Jack's first steps! Not only did we celebrate, we screamed with excitement! What are the things or people in your life that need a little celebrating?